What are the ‘Mysteries’ ? The word ‘Mystery’ is used in Orthodoxy to denote what is known in Western Christianity as a Sacrament. The Italian theologian Peter Lombard (c.1100-1160) first enumerated seven Sacraments and this number was later adopted by the Orthodox church. However, Orthodoxy does not restrict the list to these seven, rather any action designed to bring us closer to the presence of God and done through the church has some degree of sacramentality about it. As in the Catholic Church, the Mysteries of the faith convey divine grace to those who receive them worthily. In Baptism, a person is joined to the Body of Christ (i.e. the Church). Baptism is normally done in infancy, but can also be initiated for an adult. In the Orthodox Church, Baptism is usually done by immersion, rather than sprinkling and a trinitarian formula is used. Chrismation* (from the Greek: Chrismatis – ‘Anointing’), is normally practiced immediately after Baptism. The candidate is anointed with oil by a Bishop or Priest, this sealing their initiation into the church. Confirmation also equips the person with the Holy Spirit to enable them to grow in their spiritual life. * The equivalent western sacrament is called ‘Confirmation’. 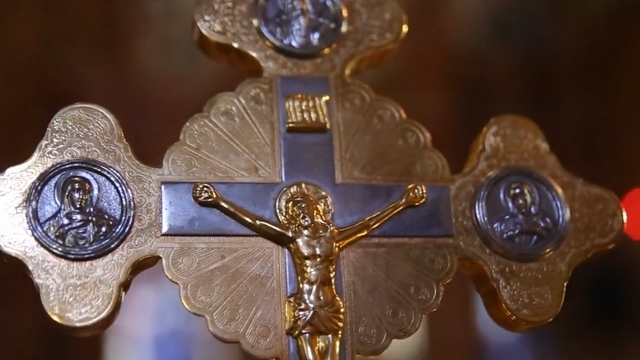 The Eucharist (Greek: ‘Thanksgiving’) is the centre of Orthodox life and practice. Also known as the ‘Divine Liturgy’ or the ‘Mystic Supper’, the Eucharist is a profound experience of worship and praise. Orthodoxy agrees with the Catholic Church that Christ is truly present in the elements (the bread and the wine), but does not explain this change metaphysically i.e. it is content to leave the actual process as a divine mystery. Orthodox practice is always to give both the bread and wine to communicants, the usual method being by intinction i.e. the eucharistic bread is dipped into the wine. However, only those who have been fully Baptised and Chrismated into the church may receive. It is also a requirement that one should fast from the midnight before receiving. Normally at the end of the Eucharist, the Antidoron (Greek: ‘instead of the gifts’) is used. This is bread and wine that has been blessed, but not consecrated. As well as the faithful present, the Antidoron may be offered to non-orthodox Christians whose baptism has been recognised by the church. 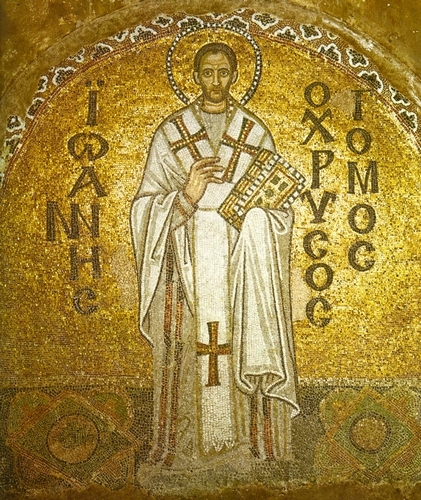 The Liturgy of St. John Chrysostom – this is most frequent liturgy. The Liturgy of St. Basil the Great – used ten times a year. 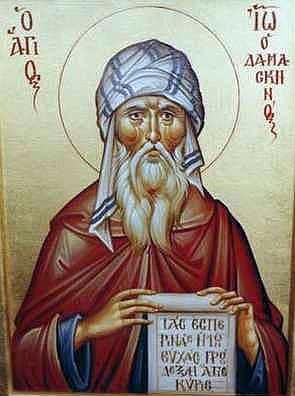 The Liturgy of St. James – used on the feast day of that saint (23 October). The Divine Liturgy of the Pre-Sanctified Gifts (attributed to St. Gregory the Great). This is the distribution of the Holy Gifts from the Reserved Sacrament in the context of Vespers. It takes place in Great Lent when a full weekday Liturgy may not be celebrated on account of the Fast. Normally the Divine Liturgy takes place only once a day, but special dispensation can be given for more frequent celebrations. A full online version of the Divine Liturgy is also available. Orthodoxy allows for three degrees of ordination: Bishop, Priest and Deacon. Married Priests and Deacons are allowed, but marriage after ordination is not permitted. As in Roman Catholicism, the priesthood and episcopacy are restricted to men only. The female diaconate existed in the early church (Romans 16:1), though it is a matter of debate as to whether this was an ordained ministry. Deaconesses generally assisted female candidates preparing for Baptism(catechumens) and assisted in the Baptisms themselves. The female diaconate then began a slow process of decline continuing until the 12th century. In recent times there has been a revival of interest and in 2004, the synod of the Orthodox Church in Greece voted to restore the order: senior nuns in monasteries may now become deaconesses. The Deacon assists the priest in the liturgy and performs other administrative functions. In the letter of James we read of the anointing of the sick with oil. In the Orthodox Church, this is practised not just for those who are dying, but all who are in a state of sickness. Orthodoxy sees marriage as the mystical union between a man and a woman and an imitation of Christ and his church. However the marriage covenant is not unbreakable, as in the Catholic Church. The church strongly opposes divorce, but will permit it as a concession to human weakness, normally only for adultery. Divorce is addressed in the Orthodox Q & A section. Confession is usually done aurally to a Priest, after the confessing person has examined their conscience. Opportunity is also taken for the person to receive spiritual guidance. To receive the Eucharist worthily, a person should have confessed any serious sins beforehand.